← Weight Watchers Now: Wow! 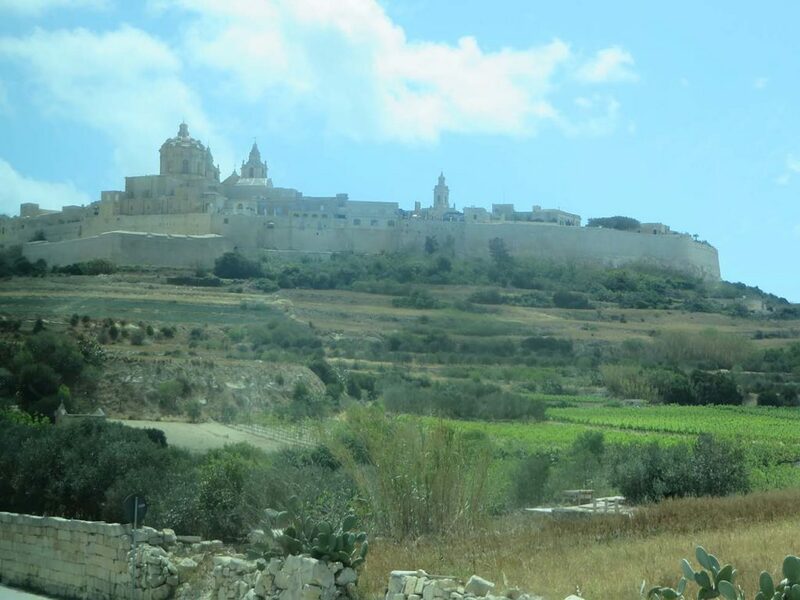 If you’re like me, you may have vaguely heard of Malta but don’t really know where it is or much about it. 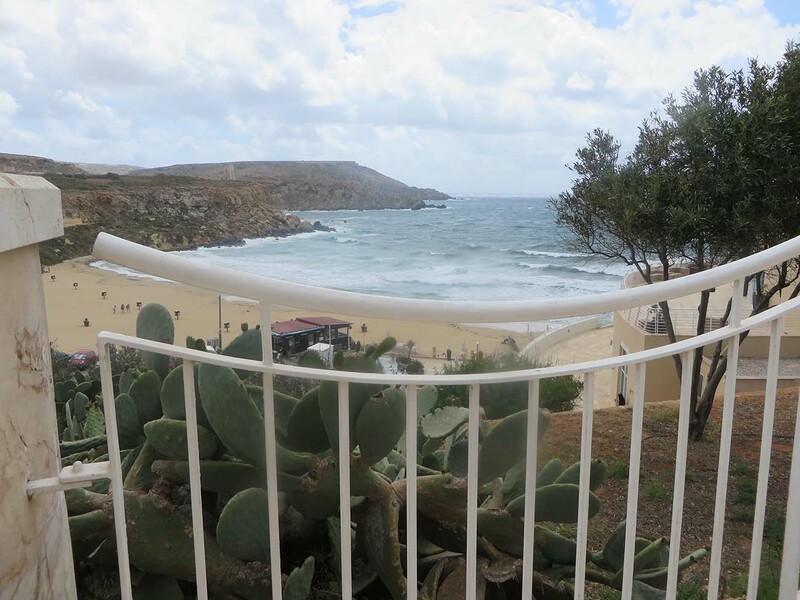 That’s why it was fun to spend a day there on a Mediterranean cruise to Malta! The boat docked at Valletta and I took a Grand Malta Highlights shore excursion, trying to visit as many sights as possible during the day. Strolled through the town, which had narrow streets and three-story stone buildings, and lots of shops. Loved the ornate street lamps (pictured above) and the beautiful architecture. Toured one of the world’s most famous cathedrals, St. John’s Co-Cathedral (known as a co-cathedral because it shares the function of being a bishop’s seat with another cathedral). Inside it, we saw Caravaggio’s famous painting “The Beheading of St. John.” It was huge, so the figures appeared life-sized. Interestingly, it’s the only work by Caravaggio with the artist’s signature, which is painted in red blood spilling from the Baptist’s cut throat (the painting was kind of gory). 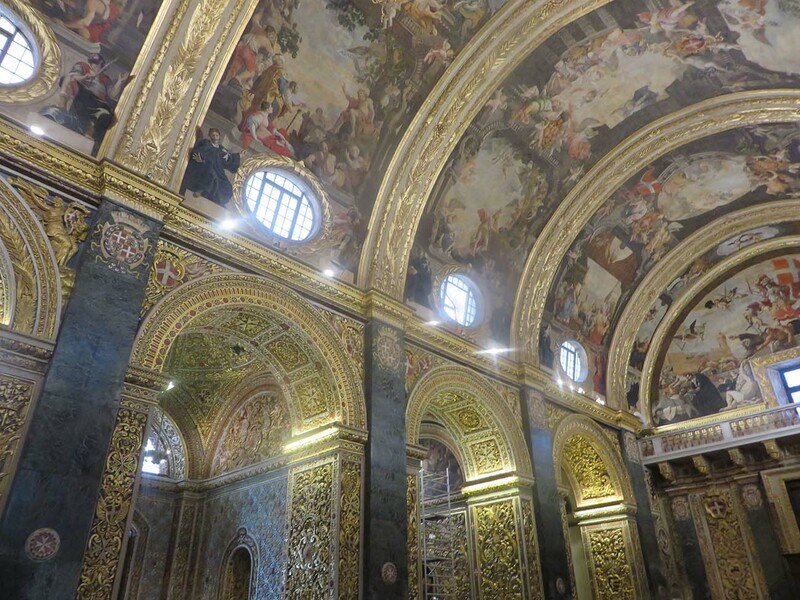 The church was very ornate and filled with gold scrollwork, pillars and statues; elaborate scenes are painted all over the arched ceiling. The altar was magnificent (and so was the whole cathedral). 3. Visited the Upper Barrakka Gardens — the highest point on the island, which has a beautiful view of the Grand Harbor and the Three Cities, fortified cities in existence since the Middle Ages. 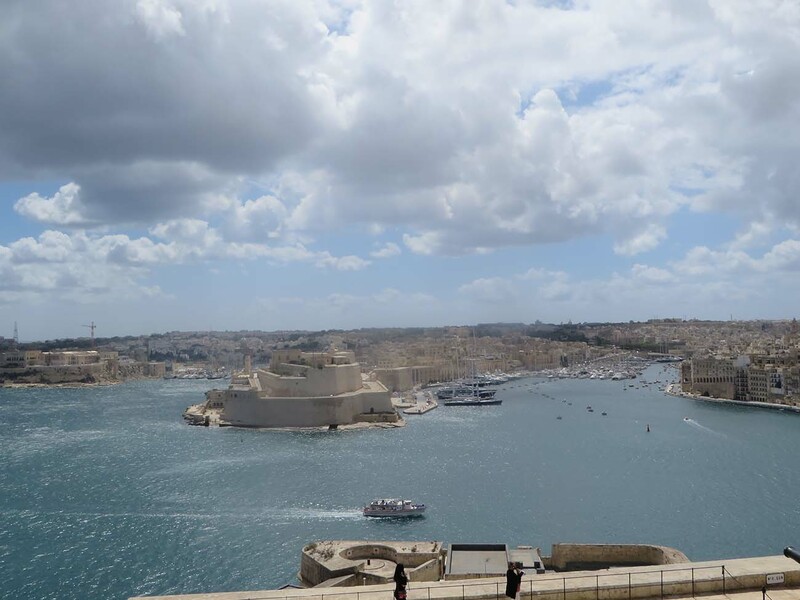 A humongous, 20-story elevator (the Barrakka lift) brings people from the harbor to the top of the walled city here. 4. 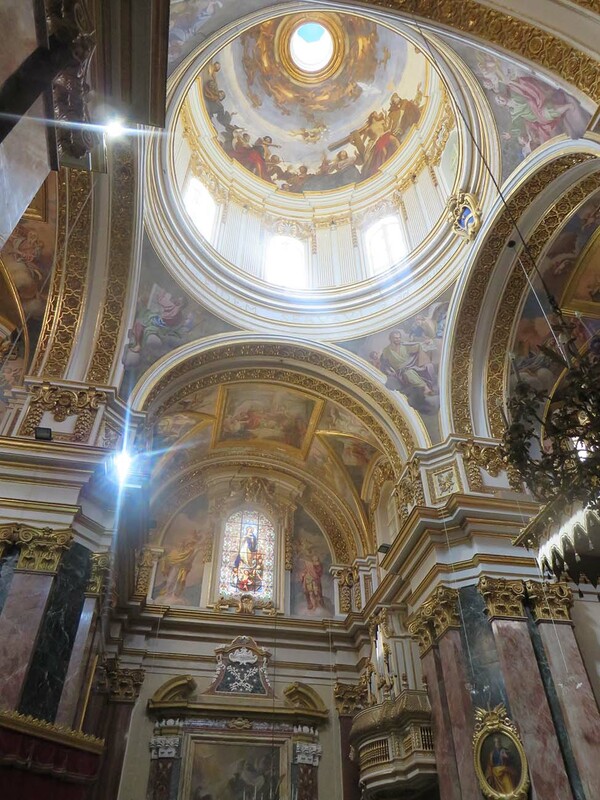 Went to the capital town of Mdina and toured the ancient Old Cathedral (St. Paul’s), which many cardinals and bishops are buried beneath. It’s the co-cathedral with St. John’s (see #2 above) and has a gorgeous dome. 5. 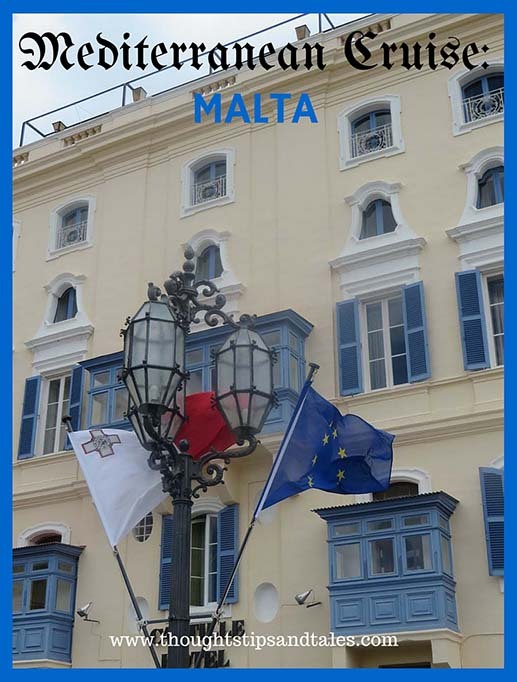 Saw a lot of Maltese crosses! 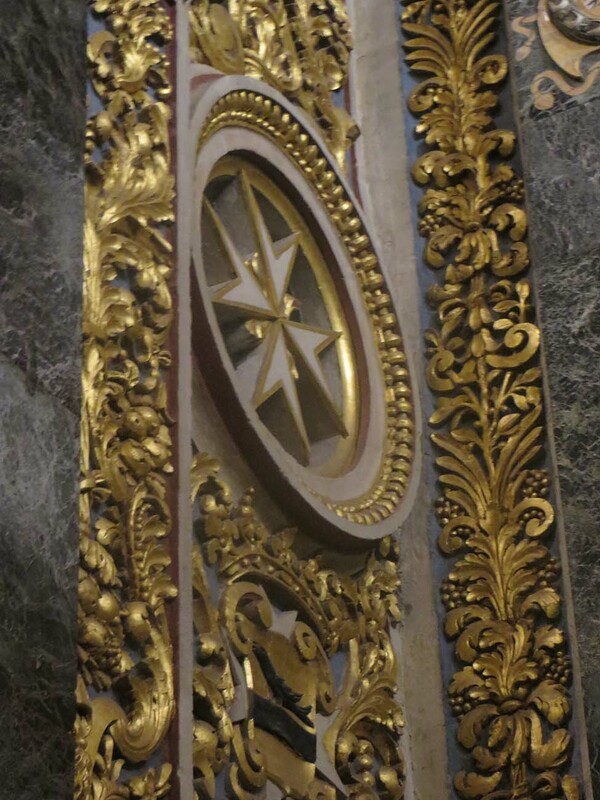 They’re associated with the Knights of Malta and the island of Malta. They were everywhere. 6. 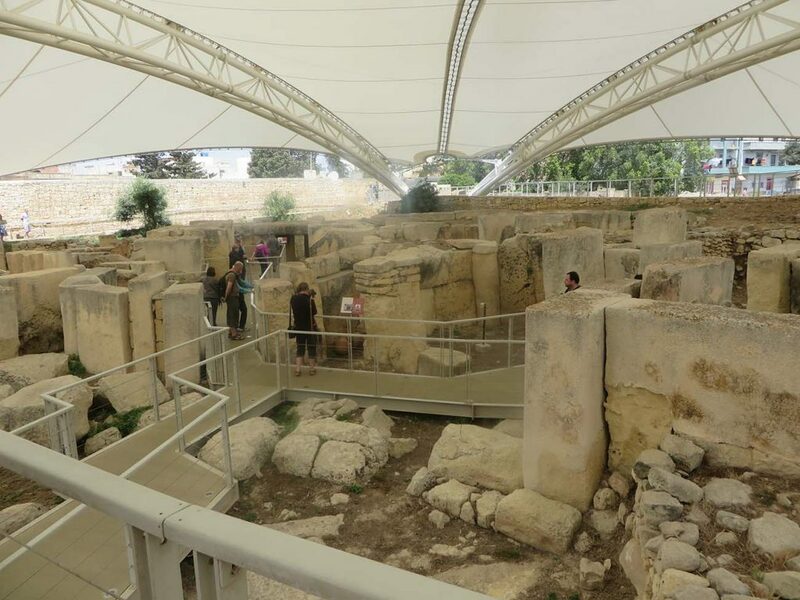 Walked through the Tarxien Prehistoric Temples, a UNESCO World Heritage site with ruins from about 3500 B.C. It’s one of the oldest free-standing structures on earth. Amazing! In between these impressive sights, we stopped for lunch at a five-star resort restaurant, which had a stunning view of rocky cliffs and beaches. 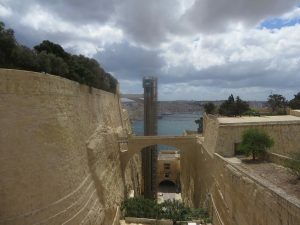 Malta was a unique and interesting place to visit! This entry was posted in cruising, cruising solo, mediterranean cruise, travel and tagged cruising, Malta, Mediterranean cruise, solo cruising, solo travel. Bookmark the permalink. Those pics are beautiful! I love the cathedral! Sounds like a wonderful vacation. I had to look on a map to see where it was. So beautiful!